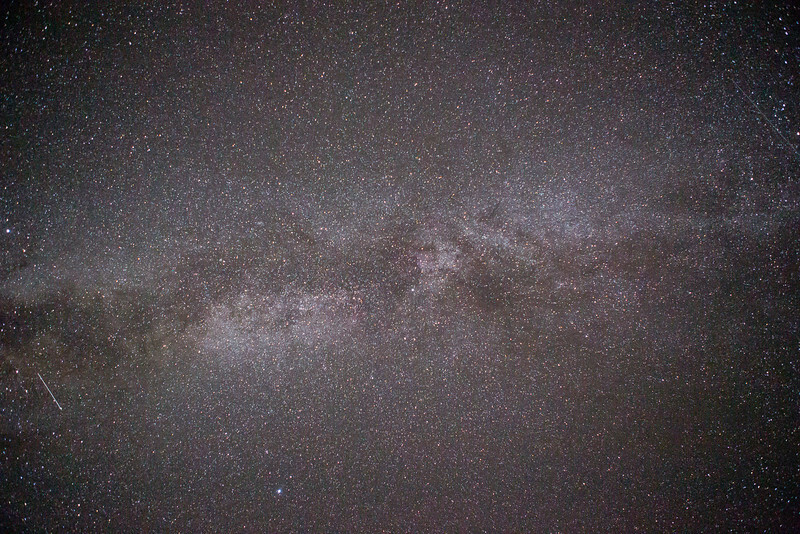 Interested in the camera settings on my astro shots? Click on a photo to expand it, then click the information icon to view EXIF info. 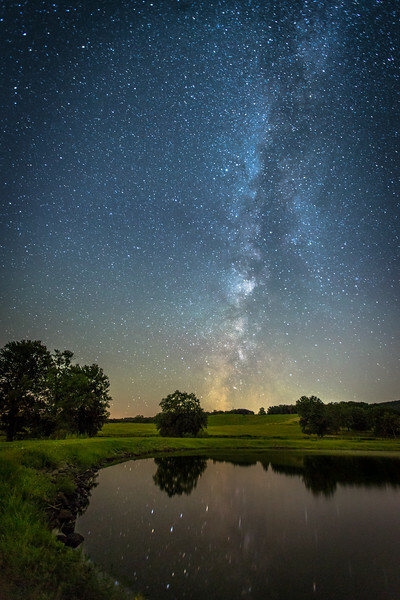 Professional night sky photography, acrylic face mounts, fine art prints, stock photography, and high resolution downloads by Andrew Rhodes. 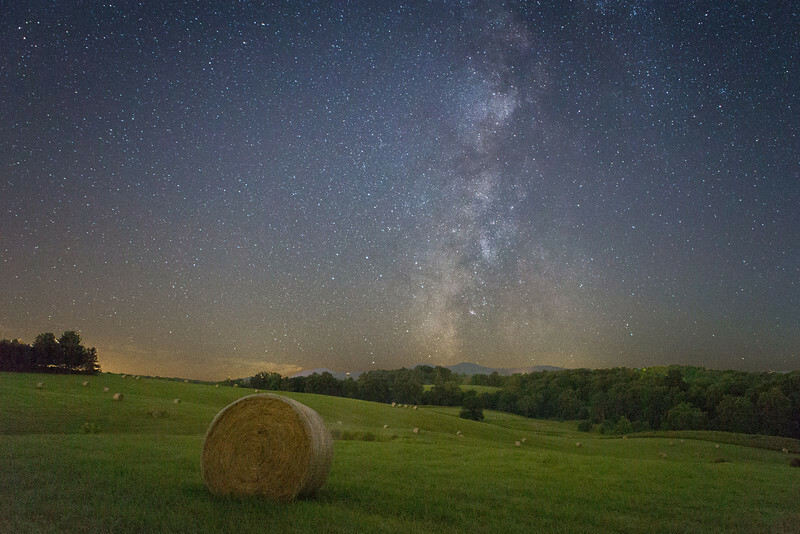 Astrophotography of the Milky Way, stars, planets, meteors, and other night sky landscape scenes. 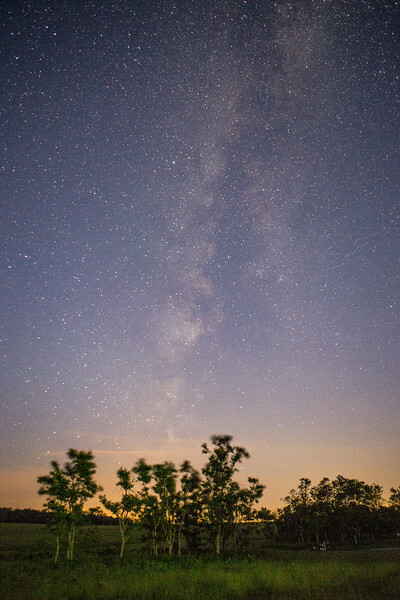 Canon 6D Astrophotography. 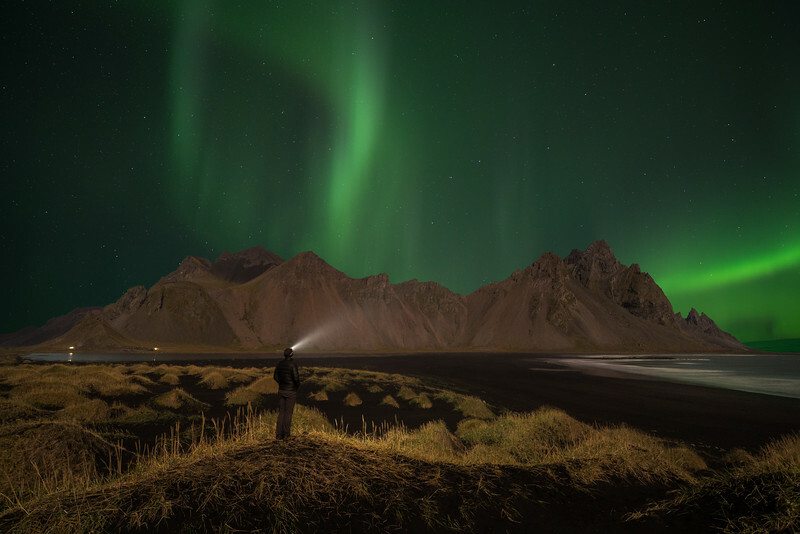 A dramatic aurora burst above Iceland's Vestrahorn mountain on the Stokksnes peninsula. 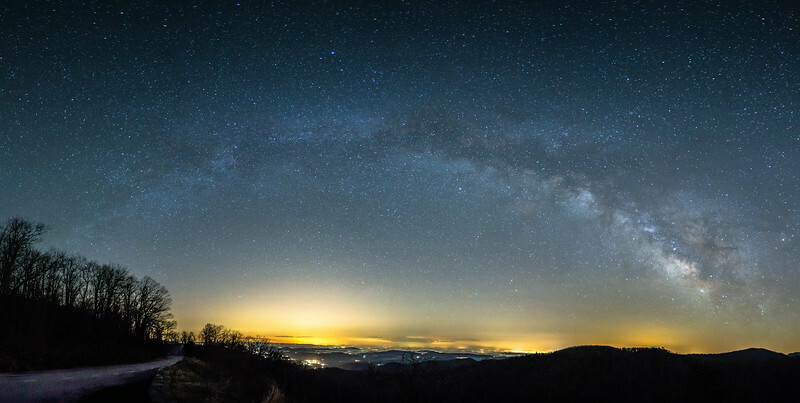 Views like this really make you stop and think about your (tiny) place in the universe. 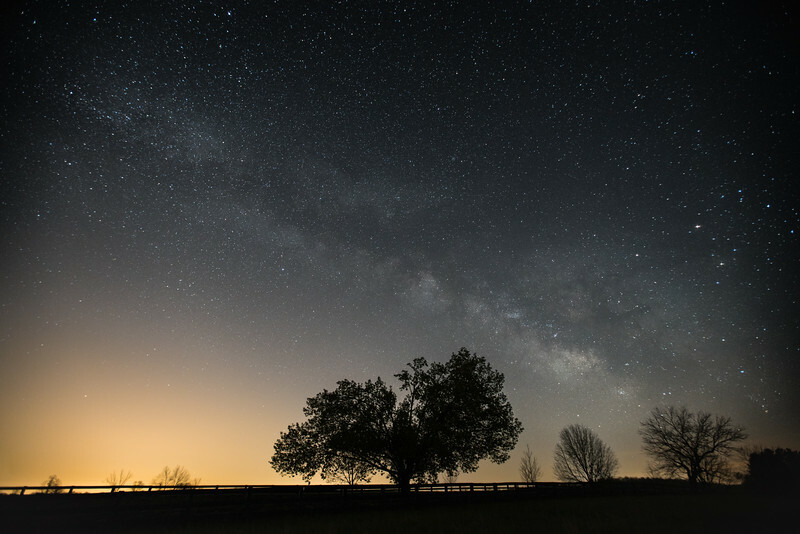 I was but one speck of light under a canopy of millions of stars and an explosion of electromagnetic energy. Humbling to say the least. 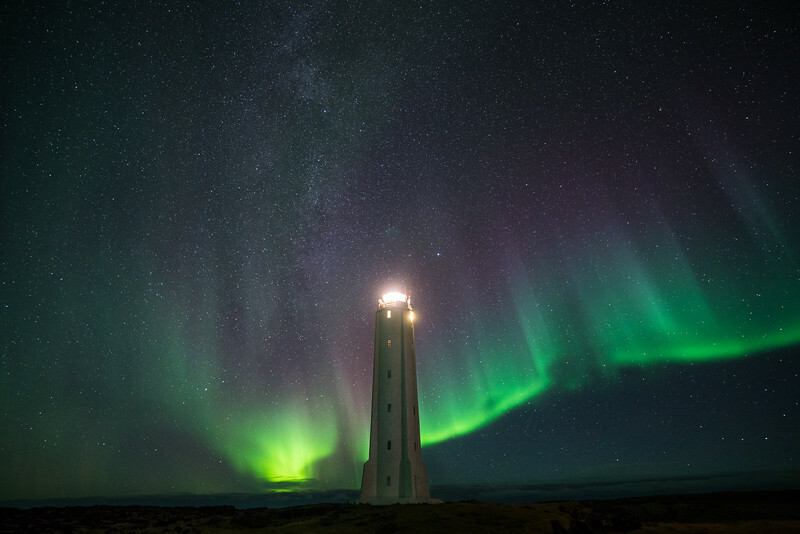 An amazing display of the aurora and the Milky Way all around Malariff Light on Iceland's beautiful Snæfellsnes Peninsula. 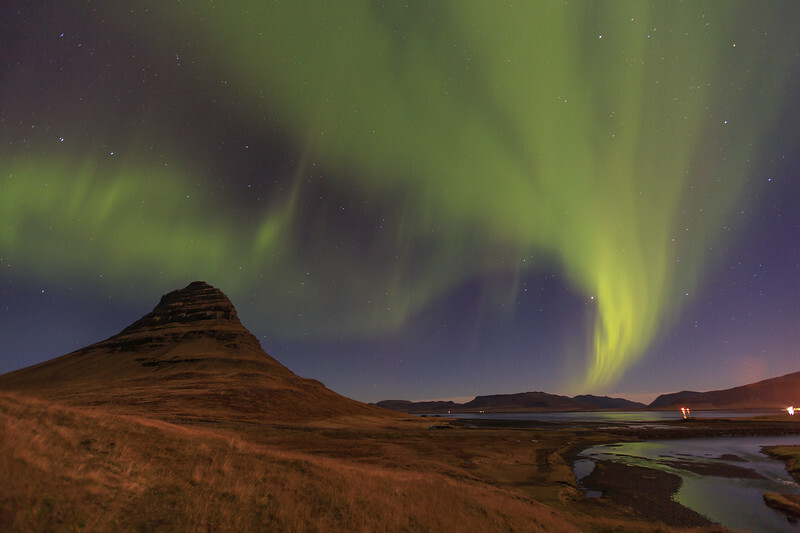 After spotting some bright bursts of the Northern Lights above our hotel in Stykkishólmur, I raced South across the peninsula to capture this awesome backdrop. 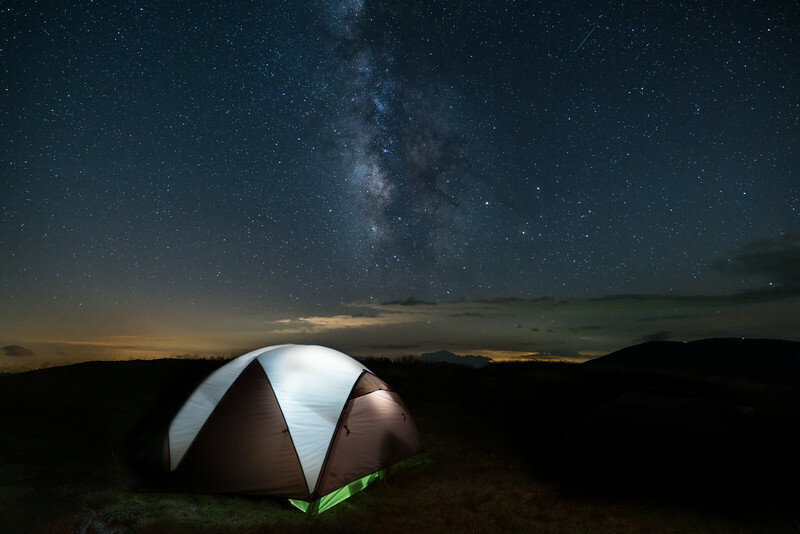 A stunning view of the Milky Way high above our tent from the top of Little Hump Mountain along the Roan Highlands section of the Appalachian Trail on the NC-TN border. 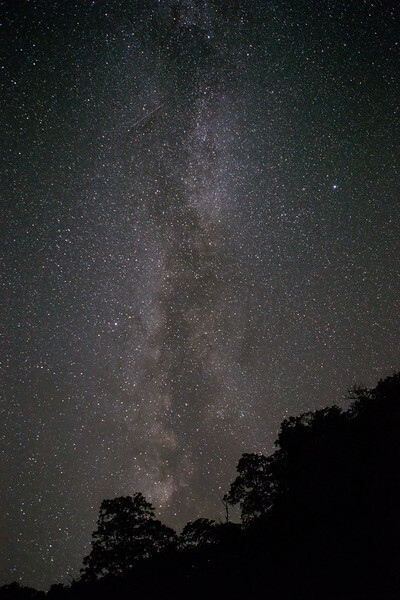 At just shy of 6,000 feet, and with no big cities anywhere nearby, the skies were some of the clearest I've ever experienced. 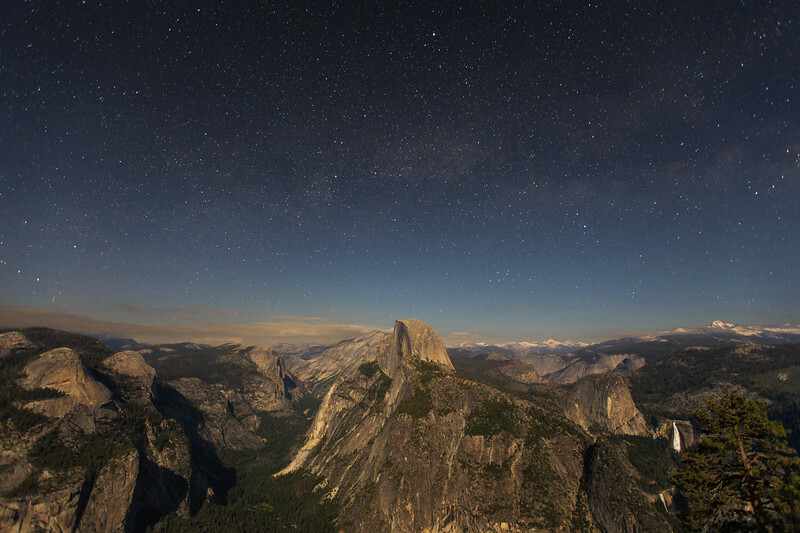 Even captured a meteor at the top of the frame. 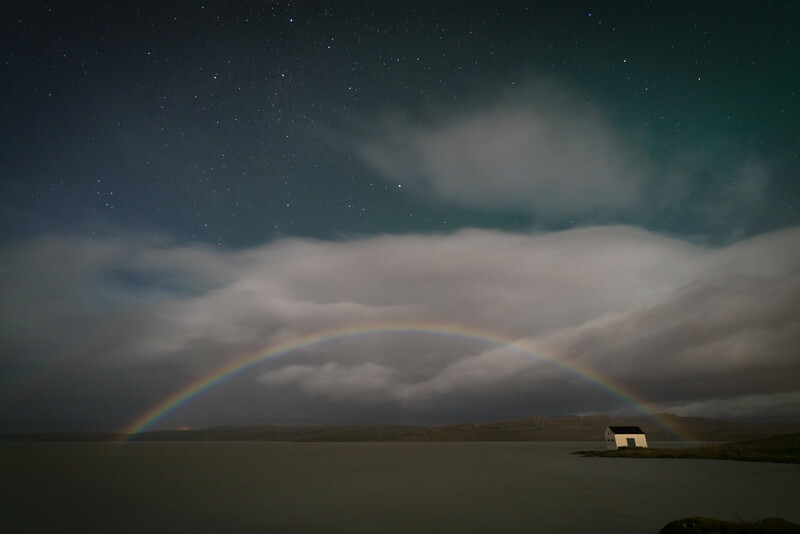 A super rare full moonbow over Lake Lagarfljot in Egilsstadir, Iceland with the green glow of the aurora bleeding in the top of the frame. Having already endured an hour of shooting an incredibly active aurora in the driving wind and rain, I ventured back out for another amazing round of shooting when I saw the hints of the moonbow forming across the lake. Opportunities to see views like this rarely happen twice. 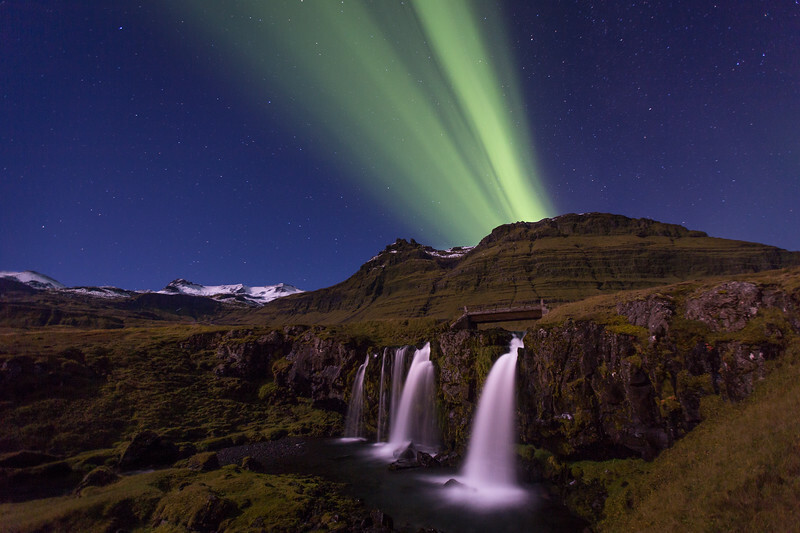 The Aurora Borealis streaks vividly across the sky over Kirkjufellfoss on Iceland's stunning Snæfellsnes Peninsula on a crisp September night. The opportunity to see, and photography, the Aurora is an incredible and exhilarating feeling that leaves you in absolute awe at the forces of nature lighting up the sky above your head. Without question, this night was my top experience as a photographer and is my favorite photograph I've ever taken. 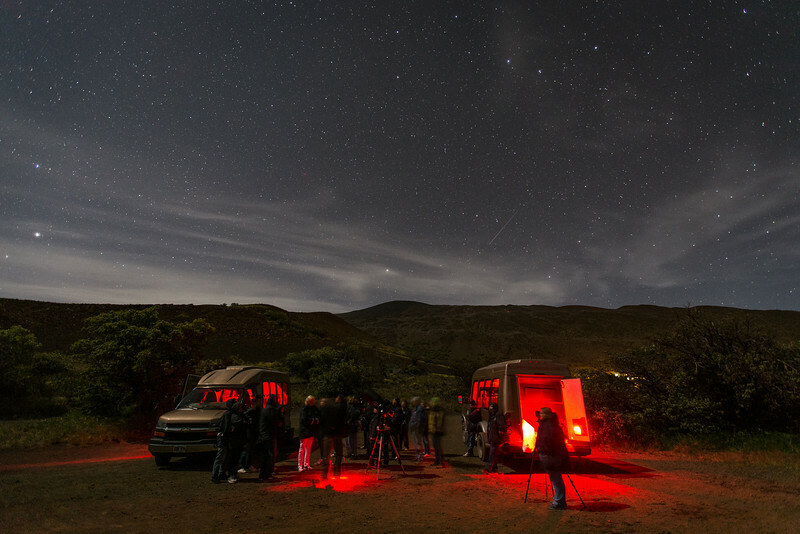 Stargazing on Hawai'i's Mauna Kea. The summit of the mountain contains some of the world's top terrestrial observatories. 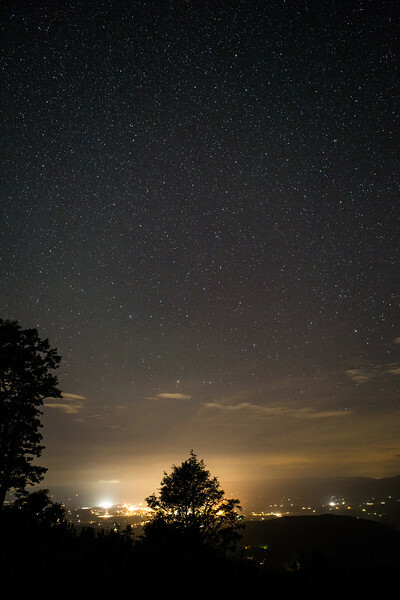 Due to the island's extremely low level of light pollution and the summit's height above normal cloud cover, Mauna Kea is considered one of the best places in the world for observing the night sky. 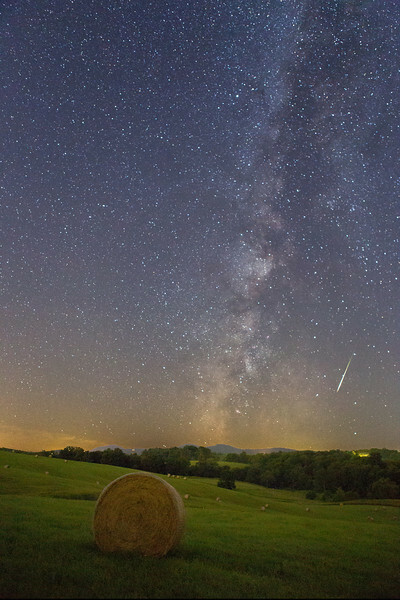 After a week of rain and clouds during the Perseid meteor shower, I was able to catch this straggler streaking over the western Virginia skies. 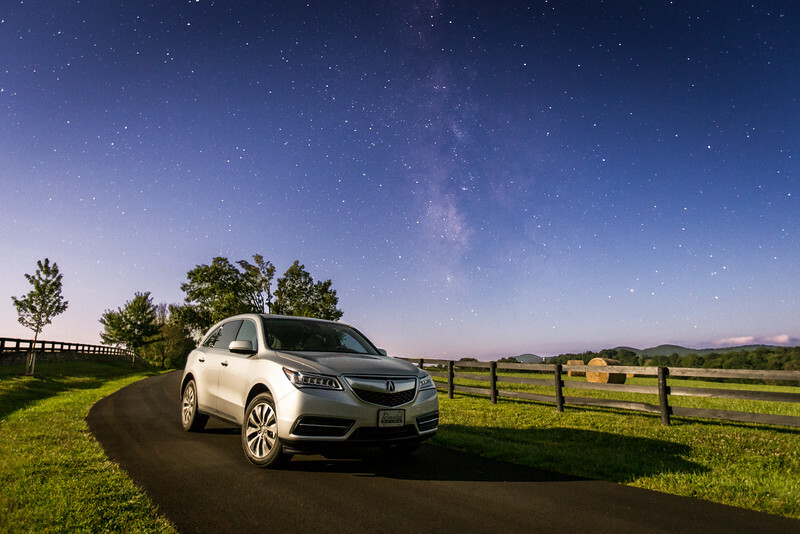 The Milky Way rises over the horizon on a clear Virginia night as a nearly full moon illuminates a 2014 / 2015 Acura MDX. 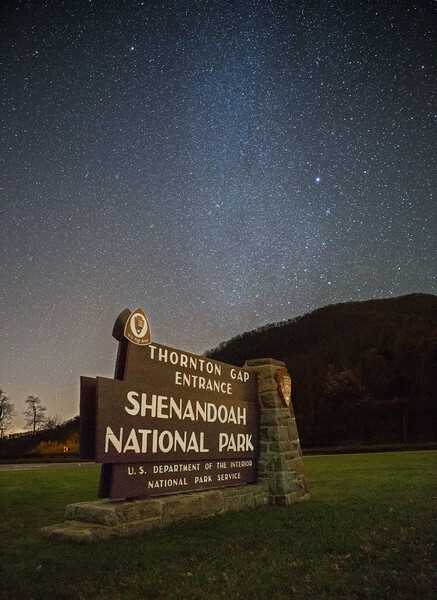 Check out the stars reflecting off the hood. 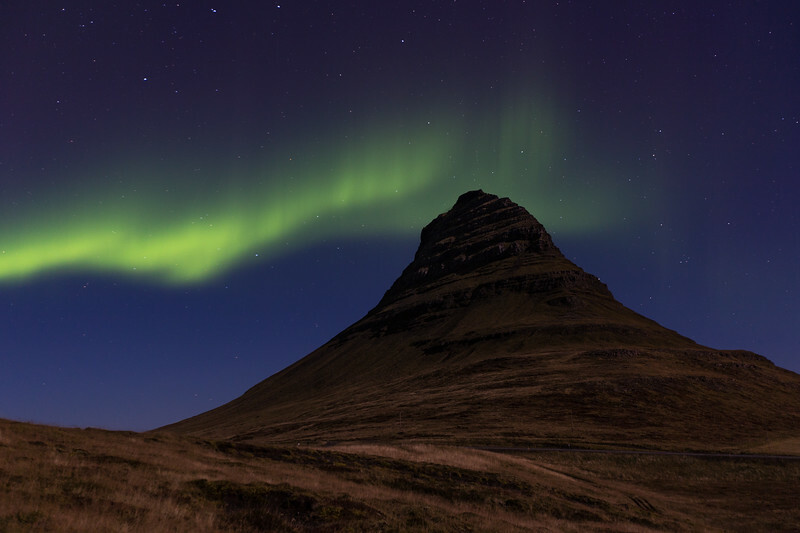 The Northern Lights fill the sky during their peak (I know this because I was up the entire night watching them) over Kirkjufell moutnain in West Iceland. 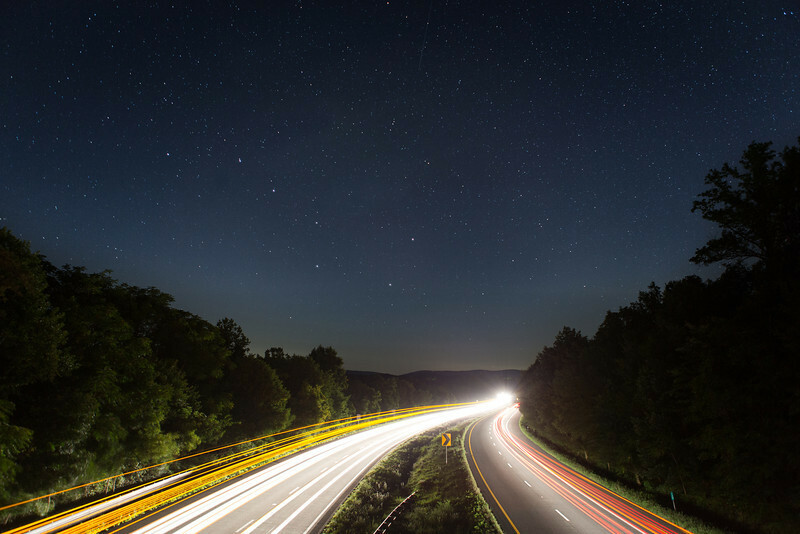 A star-filled night sky rises over I-66, looking West away from Washington DC. 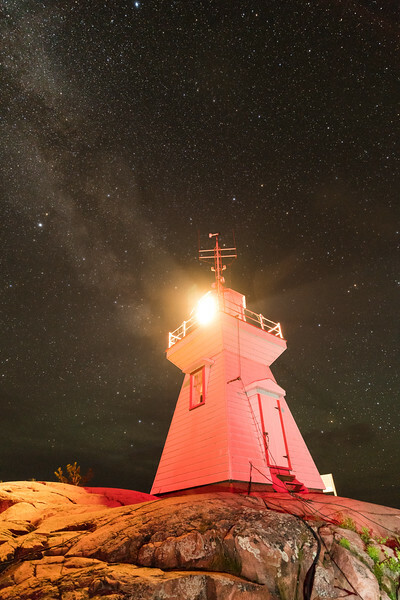 The Big Dipper shows off right above the horizon. 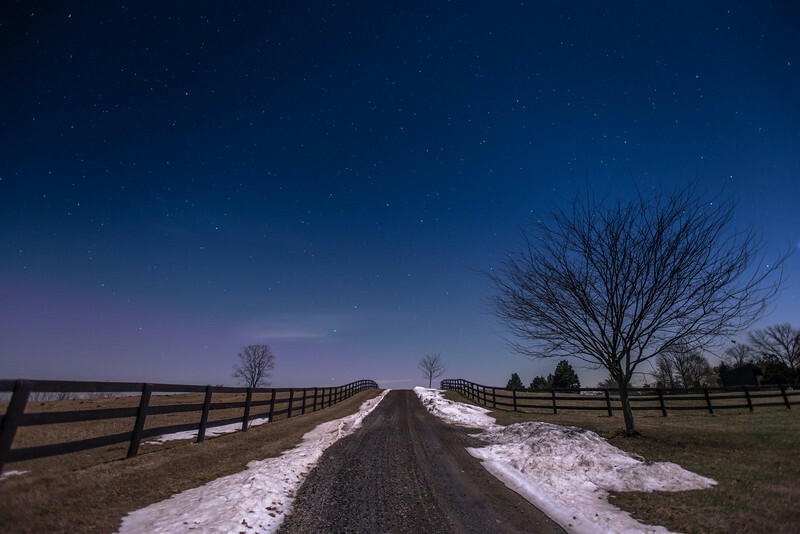 Thousands of stars shining bright on a moonlit winter evening in rural Virginia. 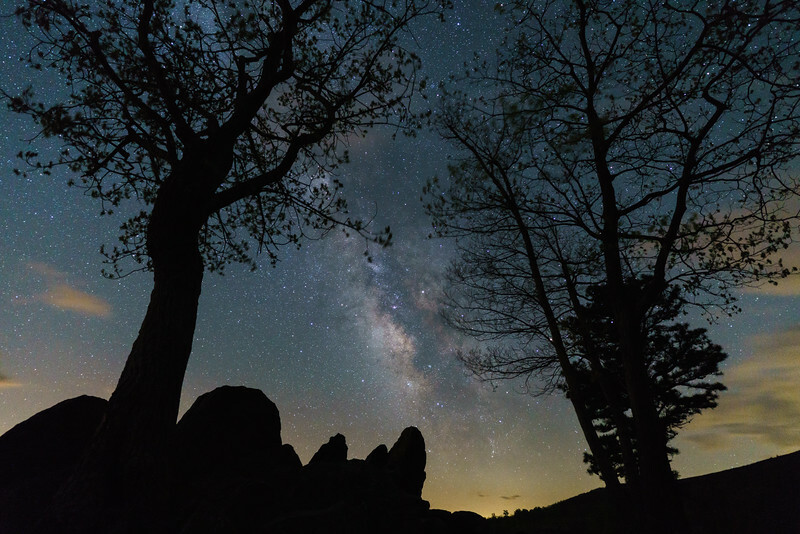 The Milky Way core rises between two trees at Hazel Mountain Overlook on a crisp May morning at Shenandoah National Park.